Last week, two students in my classroom were commiserating about the number of detentions they have. Multiple times per week. Every week. At the heart of any persisting classroom behavior issue is a student who doesn’t feel respected, heard, or engaged. Most students only continue to act out when they feel a moral justification to do so. This isn’t to say that all misbehavior is preventable – only to say that when a digression isn’t handled with a respect mindset, it is more likely to continue. I’m also not saying we pander and turn the keys over, but I do think these guys have a point – sometimes teachers are jerks. Stop the power struggle – Inspire. Don’t require. Stop escalating. Be the adult. Diffuse. Model appropriate conflict resolution. Stop using punitive grading. Separate behaviors from learning. Stop “making an example” out of students. Public shaming isn’t respectful. Why give a stage and a spotlight? Stop blocking the bathroom. There is a difference between use and abuse of power. Going to the bathroom is not a privilege, it is a right. Stop cold calling. Motivate. Don’t enervate. Stop enforcing compliance rules. Let them pull their hood up. Let them wear the sunglasses. These don’t interrupt learning. The power struggle does. Stop putting up obstacles. Give second chances. Allow for transgression and correction. Stop doling out cold consequences. Have a conversation. Understand the “why.” Hear their perspective. Stop blaming students for being disengaged. Reach every student, not just the easy students. When teachers design a project, the goal is often to create an engaging way for students to demonstrate their learning. Hopes of grandeur, pride, and high order thinking abound. Every moment a student is working, they are considering the central concepts and re-imagining their potential. Projects are meant to get students intrinsically motivated to create something unique. 25% of the final grade: Appeal (novice – lacks appeal; expert – visually creative and artistic) linked here. 37.5% of the final grade: attractiveness, rehearsal of presentation, and originality (compare this to 12.5% of the final grade being content) linked here. 83% of the final grade: team work, confidence, poise, creativity, and how “interesting” linked here. When students realize that they are making an art project in a non-art classroom, it isn’t surprising that many fail to see the value. Especially when, for the majority of projects, there is very little originality of thought required. Many projects are simply asking kids to copy information from one source to another. 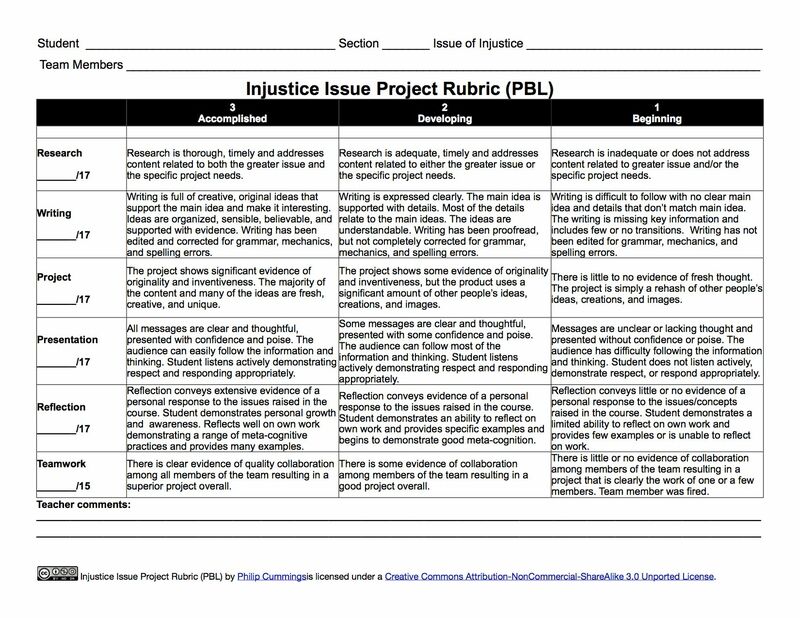 Even projects that do require students to evaluate the information have “production” components that are often meaningless beyond satisfying a teacher’s desire for aesthetics. Start by presenting background knowledge. Students need to know what they don’t yet know. It is unfair to simply tell a student to “think of a project.” They need some guidance. Have students create guiding questions. These questions will help focus their research as well as provide a way to measure their progress. If there are answers to these questions at the end, learning has occurred! The questions are critical – the role of the teacher is to give early feedback on the quality of the guiding questions. Establish value. Once the questions are created, it is time for the student consider the personal value of the questions. If none can be found, the questions need to be modified. Consider final assessment. How will the student be assessed on their learning after the product is created? Again, the product should not be assessment. The process of creating the product should lead to authentic learning. 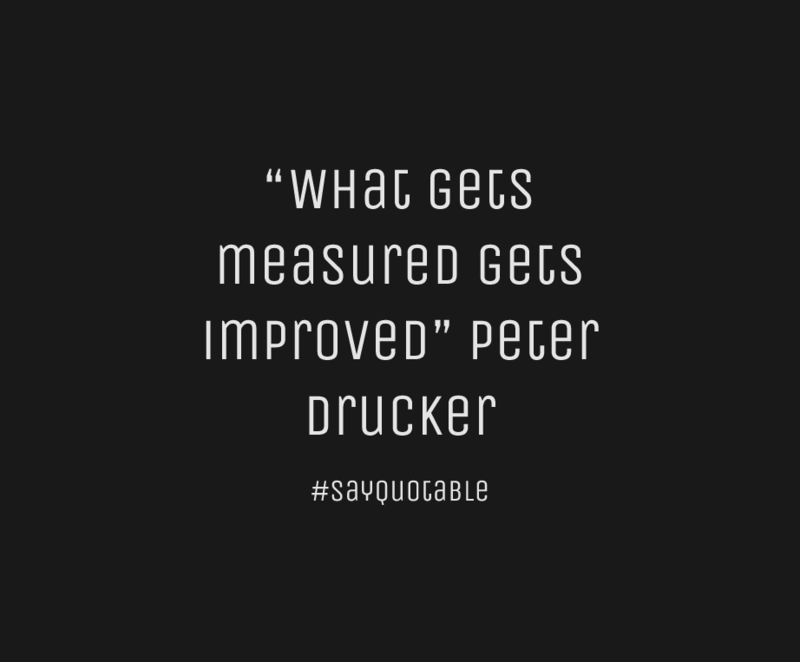 Measure this learning afterwards. Because the learning process was individualized, so too should the assessment. Purposefully target other skills. These are the additional skills a student needs in order to complete the product. Provide formal feedback on the skills. Guide students to focus on identified areas of need. Do not grade any skills that are not part of the identified standards or learning objectives. Monitor student progress. Students should actively participate in creating their own deadlines to meet the target completion date. Touching base with students keeps the teacher involved in the process, helps ensure the student is being set up for success, and provides an opportunity to modify the process/project to meet the end goal of learning. Have students self-assess. Issue the assessment and have the student reflect on their level of knowledge acquisition. Set the expectation that students will explain how they know they have reached the level they are at and if there is anything more that should/could be done. They should also reflect on the product and their targeted skills in the same manner. Ensure fidelity of the score. Once the student has submitted their final product, taken a separate assessment, and completed their self-reflection, the teacher’s role is give feedback on the self-reflection. The teacher needs to use their professional judgement to determine the level of knowledge obtained. If there is a disagreement, a clear path for what else needs to be accomplished should be laid out for an improvement. The assessment needs to be on the learning objective. Incorporating “aesthetics” or “presentation” into the final grade distorts the message about what a student knows. Learning how to present information in a clear and professional manner is important. Public speaking and having pride in one’s work are also important. 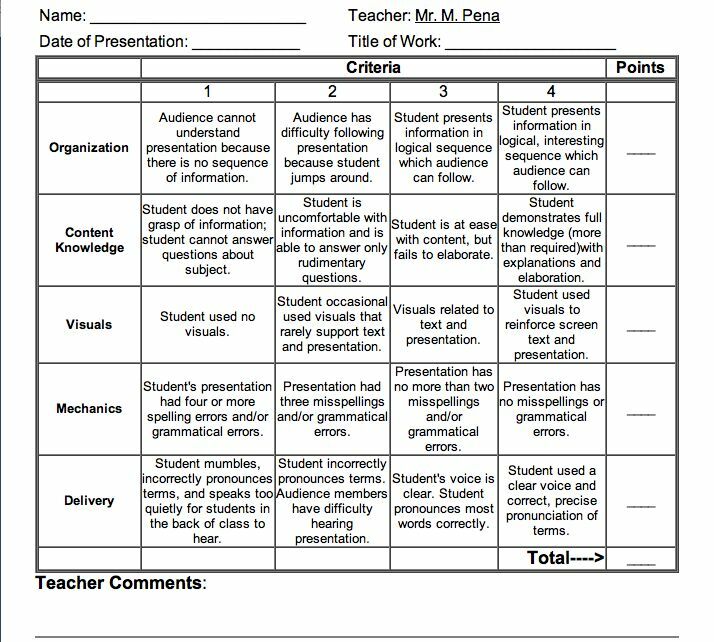 Give feedback on the presentation and production; grade the learning separately. The assessment should be separate from the product. Most projects are done with access to resources and therefore the amount of content knowledge retained is difficult to ascertain. Help from family members or modification of publicly available information can also distort the learning obtained from doing a project. A separate in-class assessment of an essay or a one-on-one conversation with the student is more likely to elicit valid and reliable data on the true acquisition of knowledge. Consider using a proficiency scale instead of arbitrarily counting points. Look at the evidence: does it show that the student is still in the process of building a knowledge base? does it show that the student has a solid knowledge base? does the evidence show that the student is competent enough with the material to analyze? or does the evidence show that the student has mastered the material well enough to synthesize or evaluate? Our classrooms are filled with students who have unique personalities, come from diverse backgrounds, and possess different abilities. Sometimes, we can get lucky and a productive harmony just happens. Most of the time, there are personality clashes that inhibit our vision of establishing a culture of mutual respect and productivity. Whether your classroom culture is reminiscent of Shangri-La or has more in common with rush hour traffic in Delhi, holding regular class meetings can be an important tool to mitigate behavior issues and teach expectations. Below are guidelines and talking points to get you started. Give Rationale/ Get Buy-In ⇒ Introduce the concept of the class meeting as an opportunity to build on (or work on building) relationships. Share that it is an opportunity to express feelings, gratitude, and frustrations in a safe way. Establish Norms ⇒ It is imperative to make explicit the expectations of how the class meeting will go. Explain that this isn’t a conversation like they might have with their friends – it is still a classroom. Explain also that the purpose of meetings is to identify problems and think about solutions. Those goals can’t happen if multiple people are speaking at once. Further, in order to prevent the meeting from devolving into a “gripe” session, it is important to remind that the focus is on solutions. For groups that find taking turns speaking a challenge, consider using a talking piece to help manage the conversation. “A top concern for me is the way that we tend to ____________ when ____________. The reason(s) I see this as a significant issue is/are ____________________. Elevate ⇒ Let students know you have high expectations and believe they can and will meet them. Don’t open the door to the possibility that they won’t. Be Open and Calm ⇒ Be prepared for open and honest feedback – that is what you are asking for. Upper middle school and high school students aren’t exactly known for their tact and eloquent poise. Thank students for being honest and rephrase sharp criticism in the way you’d like to have heard it. 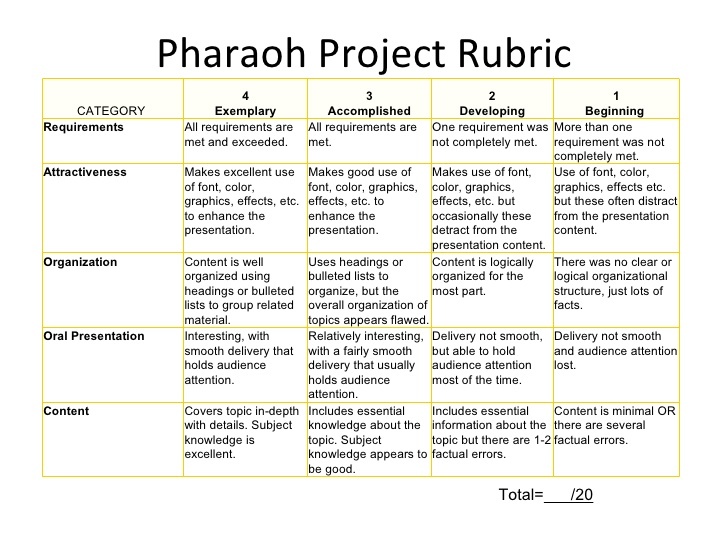 High quality student projects can be valuable in the learning process; however, using them as an assessment tool runs the risk of distorting what a student knows and is able to do. Quality projects involve significant student choice, are highly rigorous, are aligned to standards/learning targets, involve collaboration,and hit on various levels of Bloom’s Taxonomy of Educational Objectives. Great projects provide an outlet for students to apply the content of a course and create something new. Collaboration, discussion, research, and cross-curricular connections are additional benefits of using projects to aid in the learning process. There is definitely a value to incorporating them into your lesson planning. Poor projects don’t respect the realities of student time/ access to resources, are teacher chosen modalities that inhibit student creativity, and have requirements that are not aligned to standards. These projects get perceived by most students as the burdens of our system. They are worse than busy-work, they are over-work. If the project is so valuable to the learning process, time should be set aside during class time to be able to complete the project. If a project can’t meet the high standard of being worth class time, it certainly won’t meet the higher standard of being worth family time. Unless the project was entirely done during class time, it is difficult to determine the amount of support each student received during the creation of the product. Parental involvement, uneven effort from group members, and access to resources are just some of the ways achievement can be misrepresented. Even the best student projects don’t reliably demonstrate what a student truly knows or is able to do after the product was created – grading the product itself does not provide any evidence that the knowledge and skills required were retained. The role of projects is to facilitate the learning process. They are formative in nature and provide multiple opportunities for on-going feedback. After the project event, a formal summative assessment can be used to reliably and validly measure the amount of knowledge and extent of skills each student has. Will students do the work if they aren’t getting a grade for it? Yes, if they see the value in the process. Here are 15 strategies for motivating students without bribing them with a grade.